The Southern Shrimp Alliance (SSA) is extremely pleased to report that the final Fiscal Year 2018 Omnibus appropriations bill includes a long sought-after provision that will once and for all put imported shrimp under the U.S. Seafood Import Monitoring Program (SIMP). Shrimp is the largest U.S. seafood import, with over $6 billion in shrimp products imported in 2017. The SIMP program was first established in December, 2017 and is administered by the National Oceanic and Atmospheric Administration (NOAA). Beginning on January 1, 2018, the program has required importers of record to secure Federal permits and establish supply chain traceability systems to ensure the legal sourcing and trade in certain seafood imports considered to be at risk of IUU fishing, misrepresentation, and other forms of supply chain fraud often devised for evading U.S. trade and consumer safety laws. 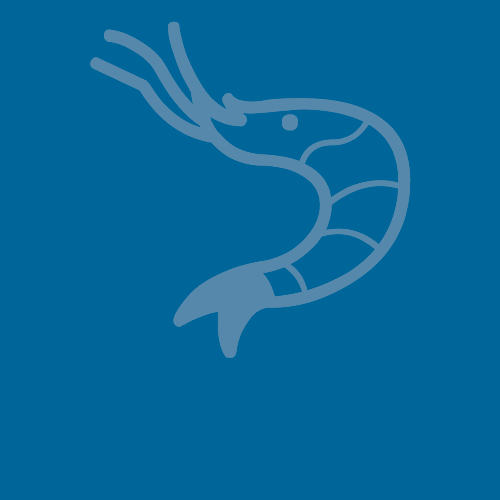 When first established, the program included shrimp but an administrative stay was placed on its implementation for shrimp due to concerns over consistency with World Trade Organization (WT0) rules. 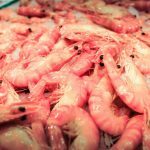 In addition to directing the Secretary of Commerce to lift that administrative stay, the legislation includes provisions regarding the domestic production of farmed shrimp that will ensure consistency with those WTO rules. The legislation also ensures that legitimate seafood importers will have ample time to bring their shrimp sourcing and supply chains into compliance with the reporting and recordkeeping requirements of this powerful program. The legislation is expected to pass both houses of Congress and be signed into law in the coming days. As is so often the case, it was the extraordinary leadership and negotiating strengths of Senators Cochran (R-MS) and Shelby (R-AL) that successfully navigated what was a very difficult and protracted negotiation on funding the Federal government through the end of the fiscal year. This included overcoming opposition from seafood importers represented by the National Fisheries Institute, as well as retailers including the National Restaurant Association. Senators Cochran and Shelby were certainly not alone. Their efforts received a great deal of crucial support and assistance from an extraordinary and unprecedented bipartisan coalition of powerful Senators and Congressmen who share the concerns for the future of our industry and the safety of American seafood consumers. Over the past two years Senators Cassidy (R-LA) and Wicker (R-MS) spearheaded several bipartisan letters to the White House, the Secretary of Commerce and Senate Appropriations Committee leadership, while Congressman Garett Graves (R-LA) championed another bipartisan letter to Secretary of Commerce Wilbur Ross on behalf of a powerful group of Members of the House of Representatives. Senator Bill Nelson (D-FL) also sent his own letter to Secretary Ross. 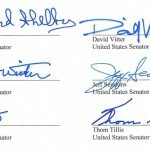 All in all, Members of Congress that signed letters of support for including shrimp under the SIMP program include: Senators Cochran (R-MS) and Shelby (R-AL) along with Senator Wicker (R-MS), Senator Cassidy (R-LA), Senator Kennedy (R-LA), Senator Vitter (R-LA), Senator Sessions (R-AL), Senator Strange (R-AL), Senator Cornyn (R-TX), Senator Cruz (R-TX), Senator Tillis (R-NC), Senator Nelson (D-FL), Senator Markey (D-MA), Senator Blumenthal (D-CT), Senator Schatz (D-HI), Senator Whitehouse (D-RI), Senator Jones (D-AL), Congressman Graves (R-LA), Congressman Palazzo (R-MS), Congressman Jones (R-NC), Congressman Byrne (R-AL), Congressman Abraham (R- LA), Congressman Kelly (R-MS), Congressman Higgins (R-LA), Congressman Farenthold (R-TX), Congressman Aderholt (R-AL), Congressman Weber (R-TX) and Congressman Richmond (D-LA). SSA was extremely active in working with its Congressional champions on Capitol Hill as well as with its shrimp industry colleagues from the American Seafood Processors Association in support of this legislation. SSA was established in 2002 in large part to defend the U.S shrimp industry against illegal shrimp imports. In 2005, the organization was instrumental in securing antidumping duties against 6 exporting nations and has been active ever since in working with the Food and Drug Administration (FDA), Customs and Border Protection (CBP), NOAA and other Federal authorities to thwart the importation of shrimp contaminated with harmful antibiotics, produced with slave labor and other illegal activities. At the same time, SSA is very sad to bid farewell to Senator Cochran who will be retiring from the U.S. Senate on April 1st. “We will forever be grateful for his extraordinary service to Mississippi and our Nation as a United States Senator, and for being the definitive champion of the U.S. shrimp industry. Senator Cochran has been carrying the torch for our industry every step of the way– whether it was testifying before the International Trade Commission in defending our industry against the illegal dumping practices of foreign nations, or fighting against illegal imports contaminated with dangerous antibiotics, or providing disaster assistance when hurricanes have ravaged our fleets, or funding programs to help reduce bycatch and improve the sustainability of our fishery, or funding programs to educate consumers on the attributes U.S. wild shrimp. We have been truly blessed. His efforts and successes on our behalf are why the U.S. shrimp industry is still standing today. We wish him a very happy and healthy retirement,” added Williams.